The Maruti Dzire continues to dominate the sub-4 metre sedan segment with an astonishing difference between it and the rest of its rivals in terms of sales figures. Although most of the Dzire’s rivals are either all-new cars or have just received updates, the Maruit continues to be king of the segment with a sales figure of over 20,000 units! In fact, the second best selling car in its segment, the Honda Amaze, could find less than one-fourth the number of buyers the Dzire found in November. The Dzire’s way ahead of the curve while the Amaze is nestled at the second spot with little threat from the Xcent, which clocked half as many sales as the Honda. 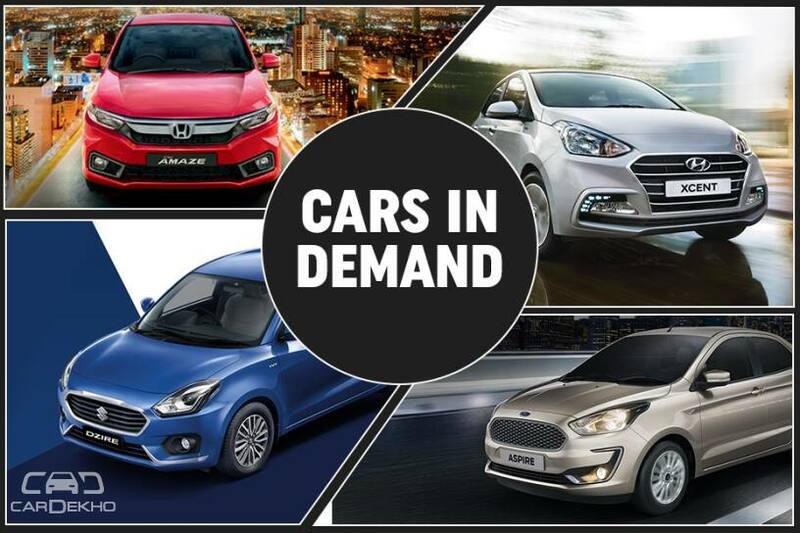 Although the Xcent and the Tata Tigor were neck and neck in October, with a difference of just 216 units in favor of the Hyundai, that gap increased to 339 units in November. One of the most powerful cars in the segment, the Ford Aspire, received a facelift in October. And this reflected in its numbers as well. However, its charm seems to have faded in just a month, with sales falling by 937 units (37.18 per cent) in the following month. The tailenders continued to be the usual suspects - the Tata Zest and the Volkswagen Ameo. While it’s still a monumental task to stand up to the Maruti Dzire, the Honda Amaze managed to more than double its market share this year. The Ford Aspire and the Zest saw a marginal hike of 1.33 and .56 per cent over the previous year. In a nutshell, the Dzire might have lost some market share but remains the undisputed king of the crowded segment. With the current state of affairs, do not expect any change in the status quo. The Maruti will continue leading the pack while the Amaze should retain the second spot followed by the Xcent and the Tigor. As for the Ford, it might trade some blows with the Tata. Since there’s no update planned in the foreseeable future for the Zest and the Ameo, both the cars are expected to retain their spot at the bottom of the table.